This year my kiddies are really getting into the holiday season, which I love. 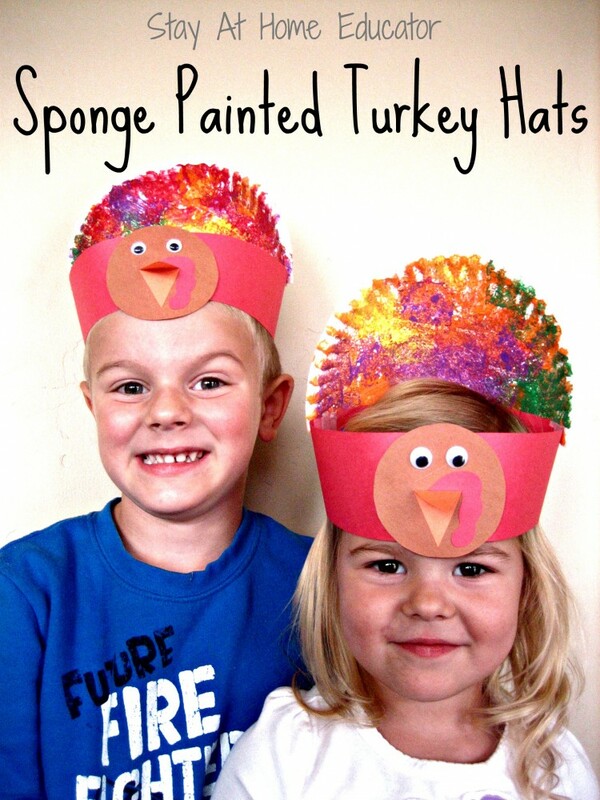 Some of my favorite memories as a child are centered around the autumn and winter seasons because of the chores associated with the seasons, like raking leaves and putting the garden to bed, but also for the traditions, such as making fun holiday crafts, like these Thanksgiving turkey hats. 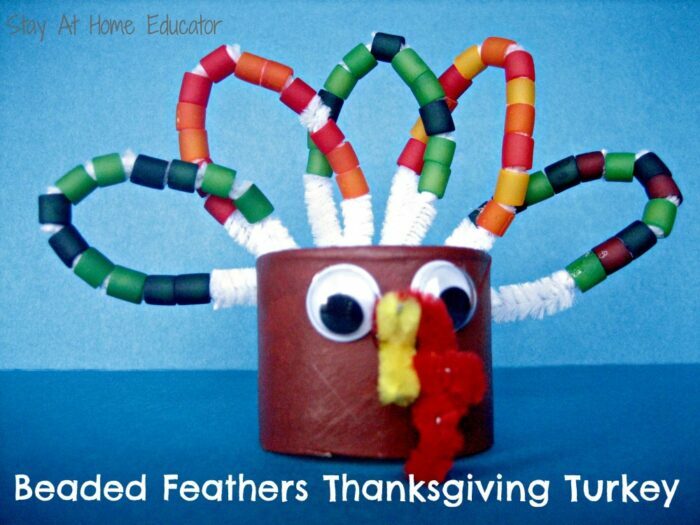 These turkey hats begin by making the tail feathers from the paper plate. I invited William and Corinne to paint the paper plate using the sponges. We used one sponge per color to avoid mixing colors on the sponge. William and Corinne sponge painted the paper plate, and while they were drying on the warm setting in the oven, we set about making the turkey face. The face of the turkey is just a brown circle, and orange diamond shaped mouth (folded in half, and a squiggly piece of red construction paper to make the snood. Googly eyes finish the look. Once the plate is dry, carefully cut it in half. Take the one full sheet of construction paper and cut it into a two and a half inch wide strip, going lengthwise down the paper, thus making it twelve inches long. Tape the two strips together, making on long band. Wrap the band around your child’s head and mark the length, then remove and cut and tape to size. Gently hot glue (this task is for adults only) the half paper plate to the band of the hat. On the opposite side add the turkey. Allow to cool for a few minutes, then wear and enjoy your little turkeys! I’m always calling my kids turkeys when they are being silly, so a hat for the name is appropriate.